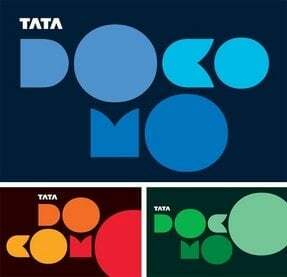 Tata Docomo today announced the launch of an interesting value added service called ‘Magic SMS’, for postpaid and prepaid mobile subscribers across India. With ‘Magic SMS’ service, subscribers can easily convert their ordinary SMSes into enjoyable and attractive picture messages/MMS. The service offers a fresh SMS experience where in you can put more of yourself into your text messages with pictures. To activate Magic SMS service, subscribers can simply SMS ‘START’ to ‘55115 for monthly subscription ( auto renewable) at Rs 30/-; SMS ‘MAG10 to 55115’ for weekly subscription ( auto renewable) at Rs.10/- and SMS ‘MAG05 to 55115’ for daily subscription at Rs 5 . Additionally, subscribers can also subscribe the service through an USSD IVR by simply dialing *502# (Toll free) and also via Tata DOCOMO website, wherein they have to select Dive In option and then select Magic SMS from the main menu. Since the new service helps to combine picture messages with original text utilizing Black & white dotted picture though is available on all GPRS-enabled handsets with MMS subscription. Customers can also download Magic SMS content by sending SMS to 55115, post which they will receive the Magic SMS. Every SMS will be charged at Rs. 3. They can also check subscription details by sending SMS “status” to 55115. In case, a subscriber want to send a normal text SMS without a picture, he can simply use Magic SMS Toggle-Off function for a particular SMS starting with ‘x[space]’ and this specific SMS will be processed as a normal text SMS without picture. as far as I’m concerned, I’m porting my tatadomo as early as possible. I realized now after nearly 3 years of experience, low cost, low cost sms…..low..low..low…these are nothing but cheezy provider. Ta-ta docomo!! !